(NewsUSA) – With more and more people moving to urban areas or just looking to minimize and simplify their lives, small-space living is on the rise. This trend toward scaling back is great news for cat lovers. But sharing your small home with a cat isn’t without its challenges. Here’s how to make sure you and your feline friend live in harmony when space is at a premium. Give your cat a “territory.” Cats are territorial animals, just like their counterparts in the wild. 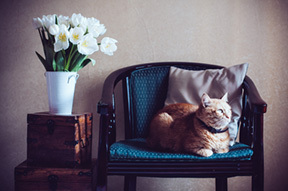 Domestic cats don’t need acres of grassland, but they should have a special place in your small home. 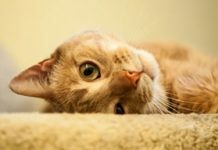 Let your cat pick his or her favorite spot — it may be a windowsill, a high perch or a dark hiding spot — and set up a comfortable bed or blanket. Intrusions into this space, whether from humans or other pets, should be kept to a minimum. Forget about “off-limits.” In a small space, your cat will need a lot of freedom to explore. Don’t expect furniture, tables or even kitchen counters to be off limits. Instead, keep food, breakables and anything else you don’t want your cat to get into behind closed cabinet doors and let your cat roam free. Choose a cat litter made for tight quarters. The litter box can be the trickiest part of sharing a small home with a cat. You need a litter that delivers powerful odor control and makes it easy to keep the box clean. World’s Best Cat Litter harnesses the concentrated power of corn for long-lasting performance and keeps odor under control even in the tightest spaces. As a bonus for apartment dwellers who dread trash trips, this all-natural litter alternative is also flushable* and septic-safe. Cats can be the perfect pets for people living in tight quarters. It just takes a little planning and compromise to keep everyone purring and content! 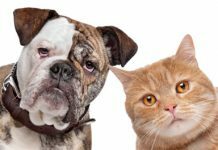 *The State of California encourages the disposal of cat feces in trash and discourages flushing feces in toilets or disposing of them in drains.